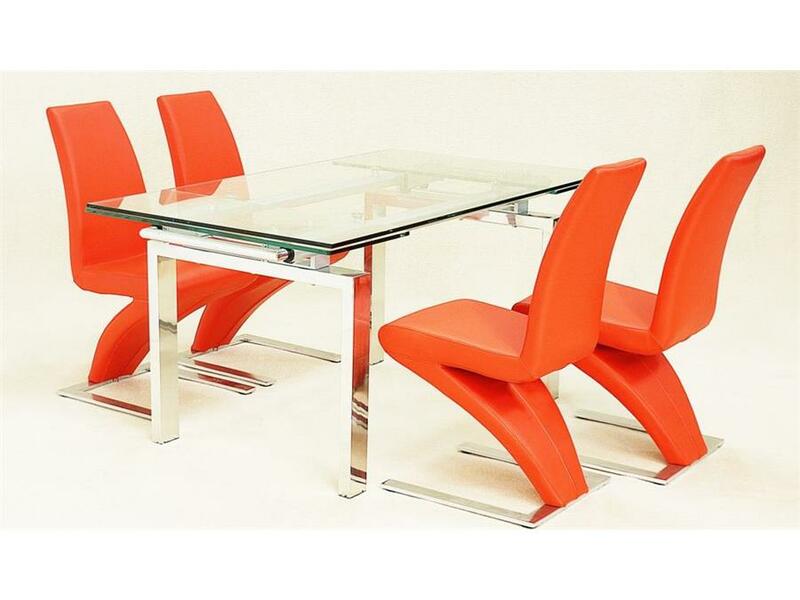 This Ultra Modern Extending Rectangular Dining Table in clear glass with polished chrome legs With 6 Polished Chrome Chairs, to create an elegant look and also available with black and cream chairs. ? 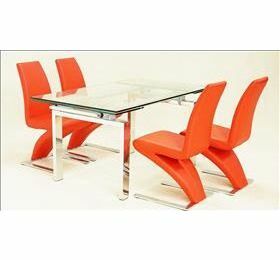 This is a stunning a modern piece finished in clear glass and contrasting chrome.